UPDATE! AND CAT PURRING! I HOPE. 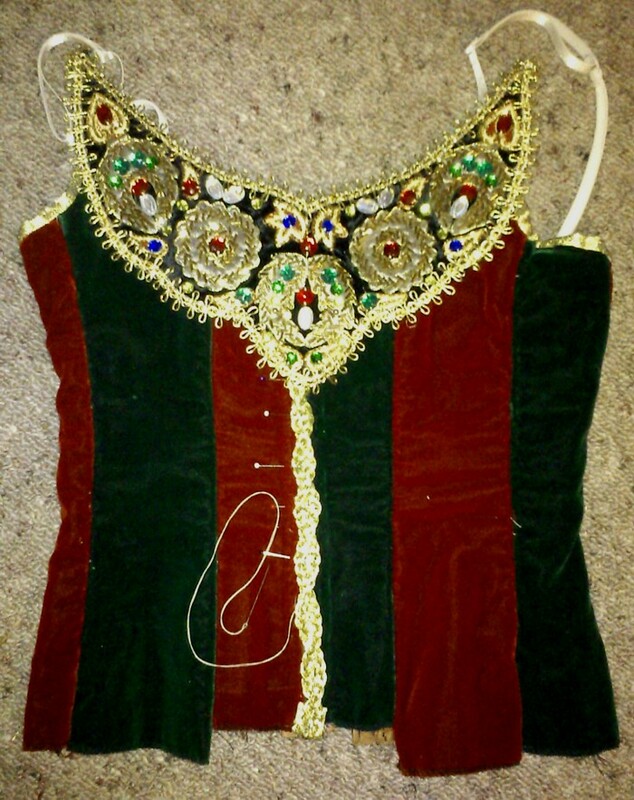 Just left the Hannibal bodice like this, the applique is just laid on. The only wiggly trim I could get is my braided cord and I twisted it to make a good cover for the zip. 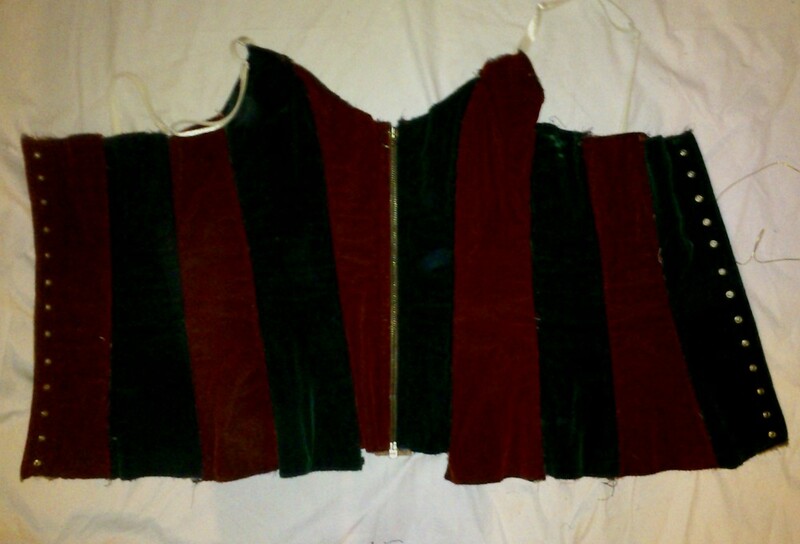 The bodice before gold trimming. 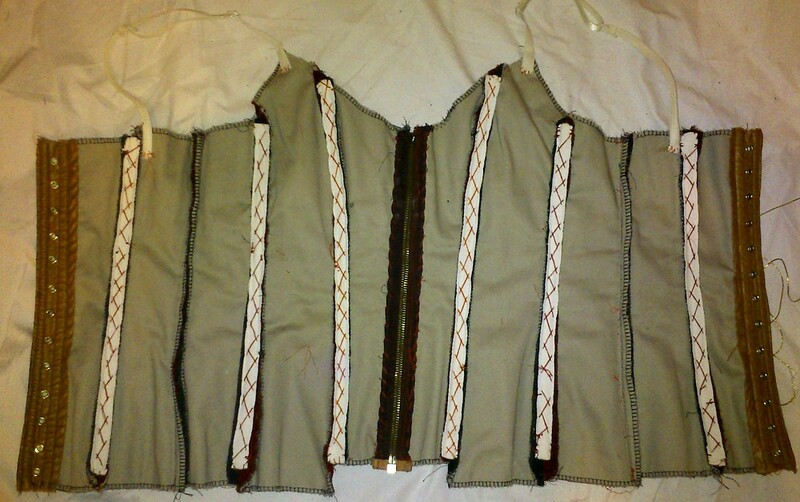 The inside of the bodice! Tight weave cotton mix. Herringbone twill tape (will need to install some as a waistband too) herrinbone stitched to hold the boning in. These means easy removal to alter seams. Cunning plan for a bodice supposed to be used in the theatre. Utilispanx! Two layers of heavy stretch lingerie, bra cups denuded of every thing and covered in shaped fabric. Just four bones in there so far but there will be a panel of them down the front or some sort of extra elastic stays. The cups are deliberately dimensional so they should fit right over to the top neckline. I have also admitted defeat in the dyeing of the lining of the Maleficent tabbard. I’m going to just use the soft charmeuse after all. I wanted silk but it’s so horrible to dye.Unless I can get 6 packets of those tiny dylon packets which is impossible as it seems only Spotlight stocks it here and they have not been restocking the shelves- they are on sale. Next Next post: SO, HOW IS THIS FOR A SIGN?